Hafencamp is the perfect point of contact for holidays with your own or a hired boat. Please note the information for a pleasant and safe boat ride on Lake Senftenberg. If you bring your own boat, there are land moorings available on the grass and water moorings on our pontoon facilities. ... here you can find our variety of accomodations. 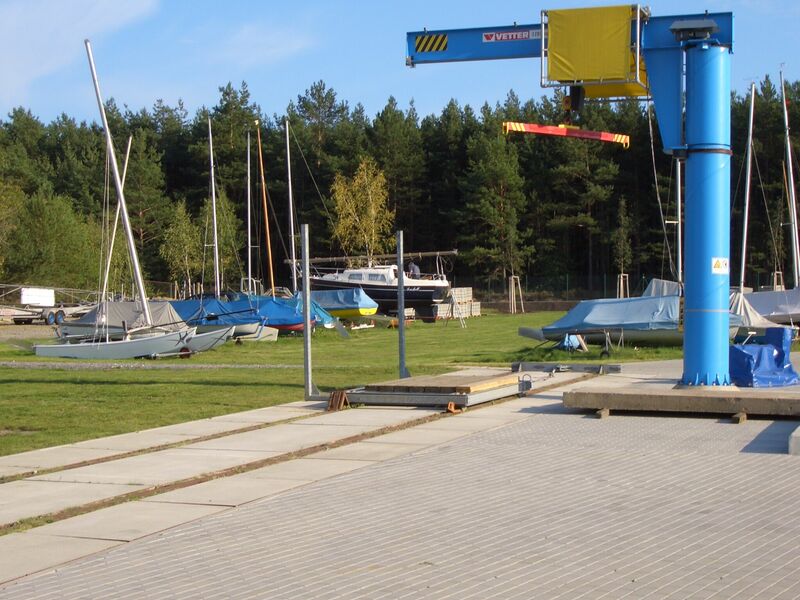 You can use a slipway, crane and winch to effortlessly put your boat into the water.